Do you ever look in the mirror and wish you had a whiter, brighter smile? If so, we are here to help you! Hassey Do Duy Dental Associates is proud to offer professional teeth whitening options for you—both in-office and at-home treatments—so that you can have a more stunning and radiant smile. With whiter teeth, you will begin to notice an improvement in confidence, happiness and overall quality of life. This is why we are so thrilled to be able to offer our newest whitening service to our patients, Lumibrite Whitening. Lumibrite is a fast, affordable and effective approach. Lumibrite teeth whitening offers two types of treatment: Chairside and Take-Home. The in-office whitening treatment is referred to as Lumibrite Chairside, which takes place in our office and is usually completed in less than an hour. The results from this whitening treatment have been increasingly positive, leaving patients immediately satisfied and thrilled with their new smiles. 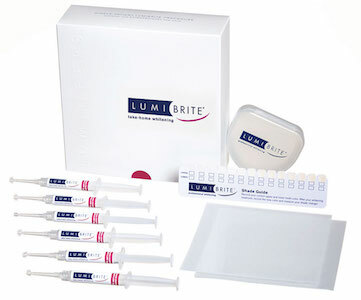 For those patients who prefer to whiten their teeth in the privacy of their own homes, the Lumibrite take-home treatment is also available. This take-home kit is proven to show results within 1-2 weeks, and teeth will be up to 9 shades whiter. The kit comes with a variety of carbamide peroxide concentrations and flavors to choose from, making this treatment option catered toward the patient’s individual needs and desires. If you have ever felt unhappy with the color or appearance of your teeth, there’s no time like the present to make a change. Contact us today at 978-688-4441 or schedule an appointment with us online to transform your smile into one that sparkles and shines. We look forward to hearing from you!